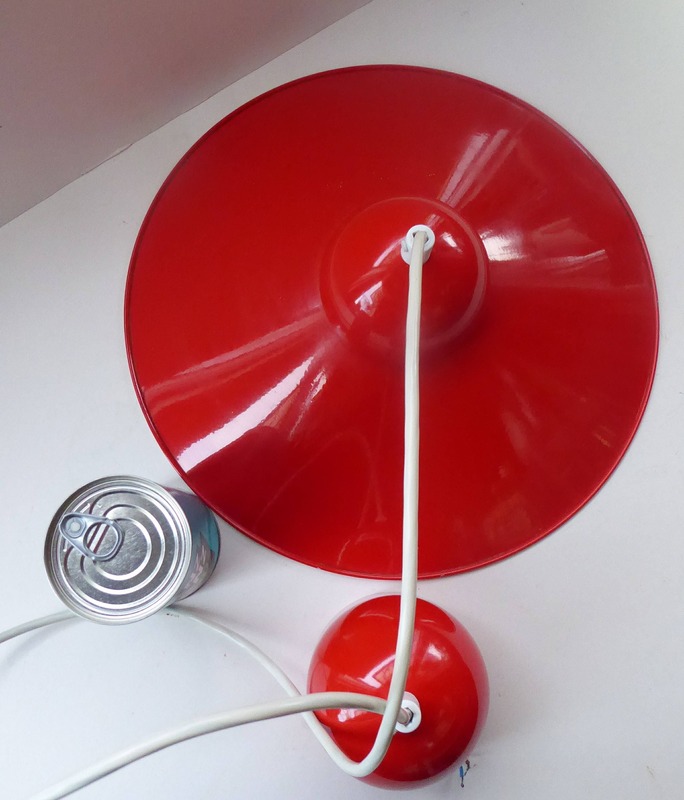 This is a lovely original vintage Czech flying saucer lampshade which dates to the 1960s. 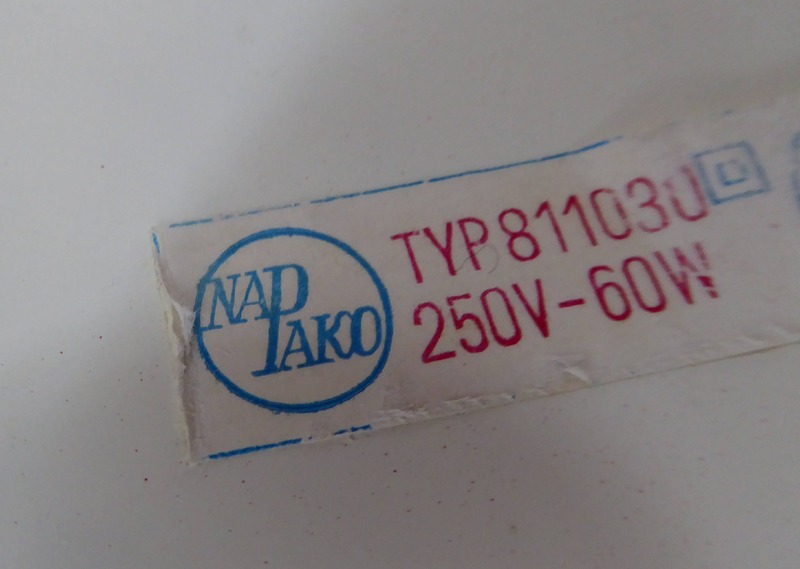 It retains its original Napako ( (NÁstrojaři-PAsíři-KOvotlačitelé) paper label on the underside. It gives the pattern number: 811030. It is certainly a most lovely example and probably designed by Joseph Hurka for the company. 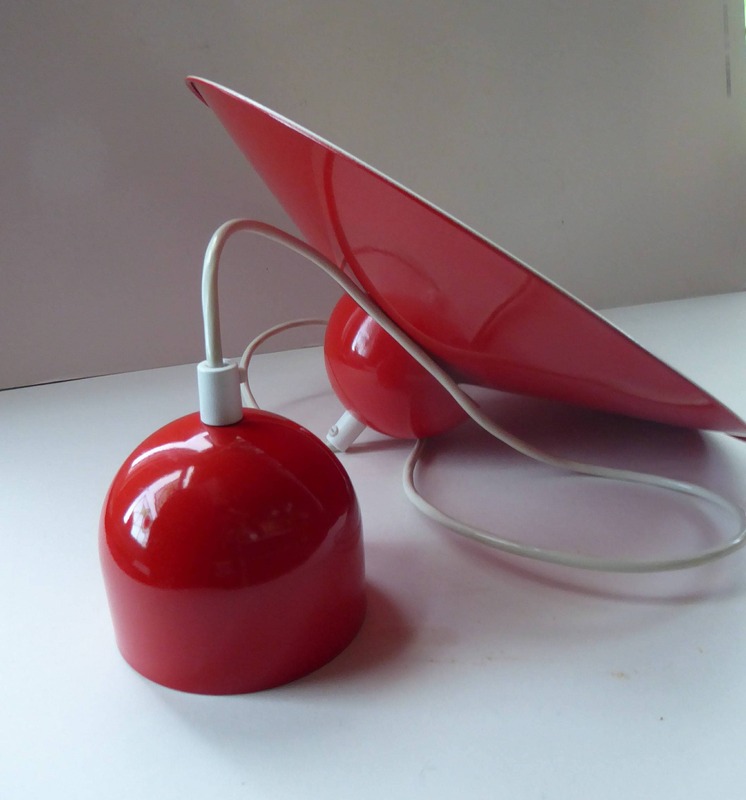 His designs are always very space age in form and often were made of metal coated with bright primary colour enamels. 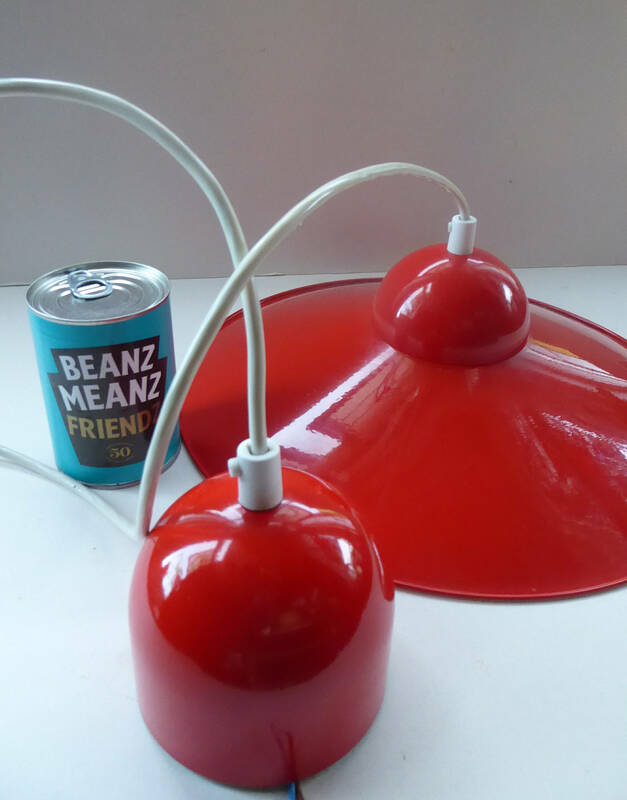 His table lamps are easier to come by - and it is often harder to find these vintage pendant examples. 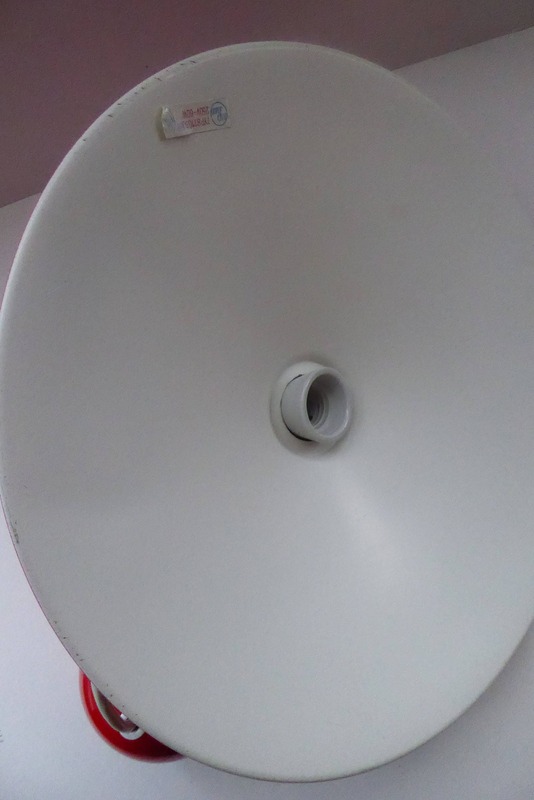 This shade takes the form of a flying saucer - which is a nice large size with a diameter of some 14 1/2 inches. The main body section has an overall height of 4 1/2 inches. 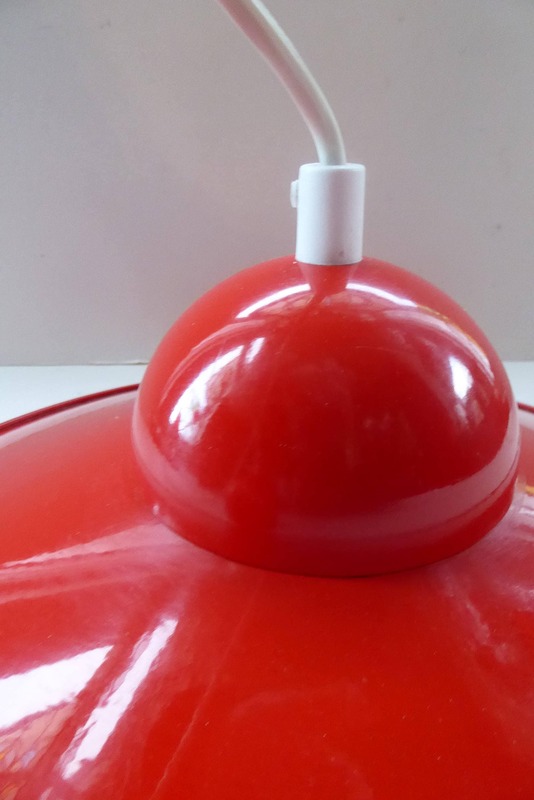 It also comes with its original ceiling rose in the form of a red dome (as photographed) this is 3 1/2 inches in height and with a diameter of 4 1/4 inches. As you can see from my images - it is in good vintage condition. 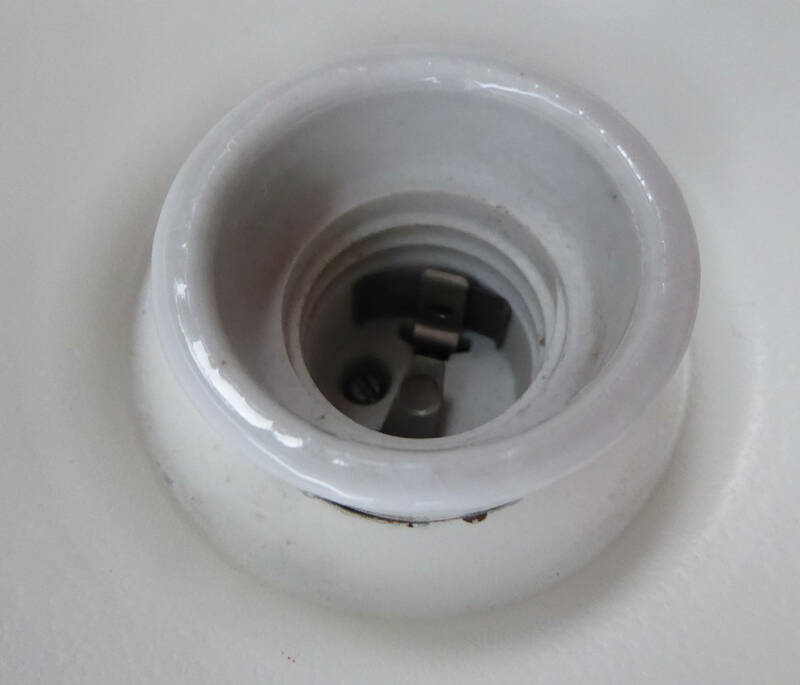 There are no nasty scratches to the paintwork and certainly no dents to either the shade or the rose fitment. It will look just fabulous hung low in a modernist interior - probably in over a dining table or central space. 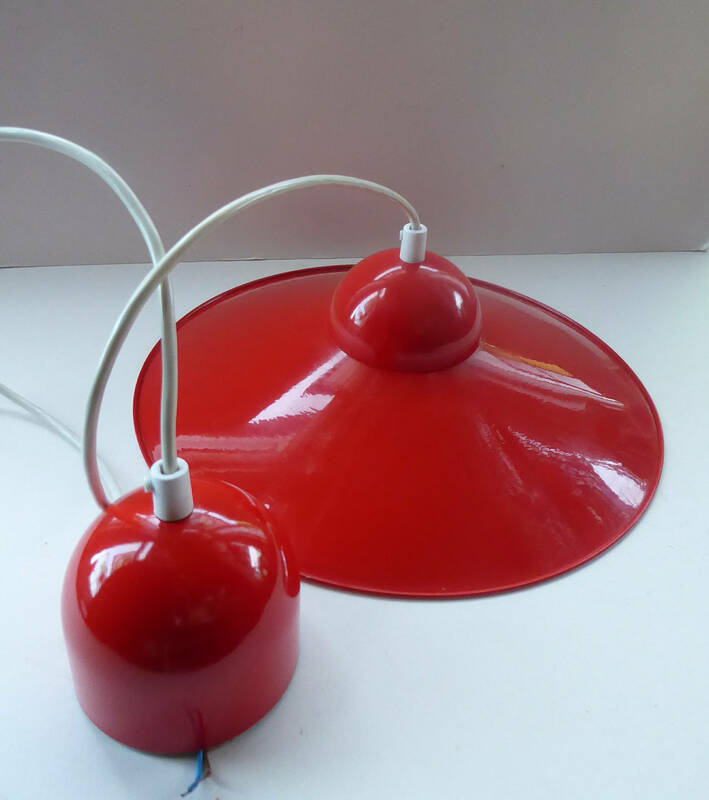 Any white flashes on my images are not on the lamp but are merely reflections from the very glossy red enamel finish to the shade. 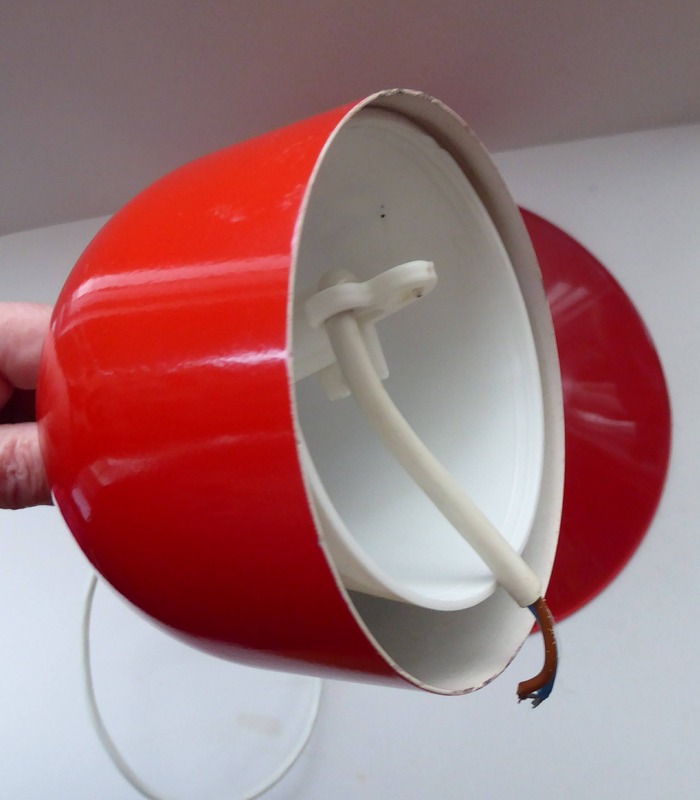 The top is glossy red and the underside is a matt white colour. 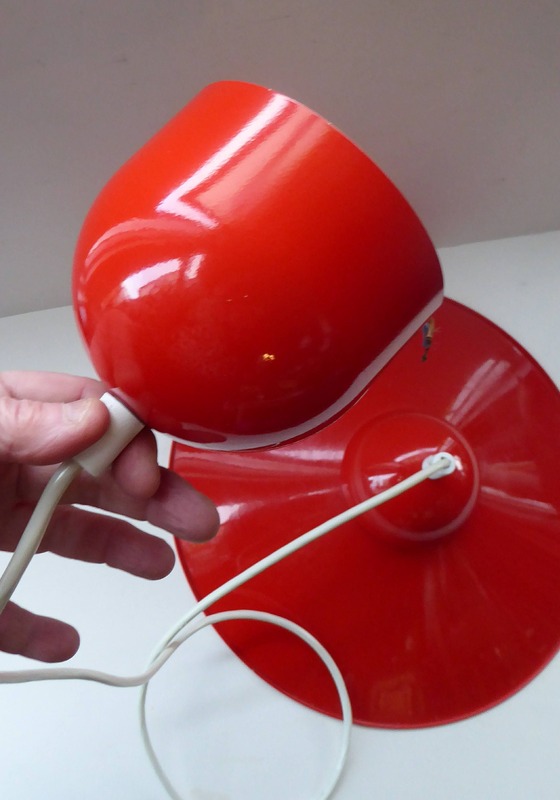 A very fair asking price for this highly collectable shade. Postage quoted is for next day special delivery to the UK with the Royal Mail.